GlaxoSmithKline provided financial support in the production of this content. The Pharmaceutical Journal retains sole editorial responsibility. Community pharmacy has both a professional responsibility and commercial interest in ensuring pharmacy teams receive the necessary training and possess the appropriate knowledge to deliver the best person-centred care. Ade Williams is superintendent pharmacist at Bedminster Pharmacy, an independent healthy living pharmacy in Bristol. Harnessing the expertise of the entire community pharmacy team to deliver excellent person-centred care to patients with joint pain cannot be overstated. Reacting to patients’ needs by relieving pain quickly, providing an understanding of their condition and supporting self-care is widely acknowledged as the best model of care for mechanical joint conditions. Mobility and function can be rapidly lost, especially in older people, and it is often difficult to regain confidence and muscle mass. Community pharmacy teams are now seen as essential facilitators of clinical care in addressing growing patient needs. Embracing this role and equipping community pharmacy teams with the required knowledge and confidence is beneficial for both patients and the broader health service. The role of the community pharmacist in championing this is crucial. Osteoarthritis and its associated pain have a broader impact on society beyond the health service. The World Health Organization describes them as ‘leading causes of morbidity and disability, giving rise to enormous healthcare expenditure’. The indirect costs of arthritis on society were estimated at £10.2bn in 2013 for the UK, which includes the cost of lost work for those affected, including non-professional/voluntary/family members who provide care, adding to reduced quality of life experienced by those living with musculoskeletal conditions. The impact on an individual’s quality of life can be substantial. More than a third of the UK population aged over 45 years have sought treatment for osteoarthritis pain that interferes with their normal daily life. Pain can affect mood and sleep quality, and limit activities of daily living, resulting in immense frustration which impacts further on mood and quality of life. The Global Pain Index study — a consumer survey commissioned by GSK — found that a significant number of people in the UK manage their own pain by purchasing over-the-counter medications. Failure to receive a diagnosis from a healthcare professional and limited understanding of causality was widely reported across all pain types, including joint pain. According to a survey conducted by The Pharmaceutical Journal, which ran between May and June 2018, people experiencing joint pain will often seek advice from pharmacies. Of the 699 pharmacists who responded, almost half reported that between 1 and 5 patients per week present to their pharmacy with joint pain, stiffness, muscle pain or back pain, and around 10% of pharmacists manage more than 15 patients per week presenting with one of these types of pain. Yet around 30% of pharmacist respondents admitted a lack of confidence or knowledge in managing patients presenting with symptoms of osteoarthritis. When patients present to a community pharmacy, their first point of contact may not necessarily be a pharmacist, but another member of the pharmacy team. Consequently, there is a developmental and training opportunity to be harnessed by upskilling the entire team in conducting effective joint pain management consultations. This would enable appropriate identification and management of symptoms, improving patient outcomes while freeing up the pharmacist’s time. Modelling by example and ensuring colleagues are well trained means that we build the underpinning foundation to drive this forward. This is particularly important as we strive to become the first port of call for minor ailments and have increased clinical responsibilities in managing long-term conditions. Investment in training pays dividends in the quality of patient care and outcomes. Consistent quality will define pharmacy’s future and help argue our case effectively. Providing the highest quality joint pain management in community pharmacy is a great way to demonstrate what we can offer. A good place to start is ensuring that every pharmacy has a standard operating procedure (SOP) covering the sale of medicines for mechanical joint pain. Team members include the pharmacist, preregistration trainee pharmacist, pharmacy technicians, dispensing assistants and counter-based colleagues. Having an SOP in place will ensure that the correct questions are asked before a sale is made, and that situations requiring referral to the pharmacist are identified quickly and accurately. 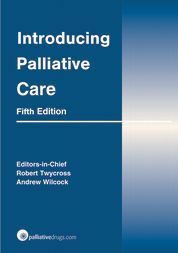 Most importantly, it will also help to create a culture where individuals aspire to deliver proactive, knowledge-based care within each team member’s level of competence. At a round-table meeting on 10 July 2018, hosted by The Pharmaceutical Journal a group of experts in musculoskeletal disorders from across the healthcare professions reached a clear consensus on the role that pharmacy should have in supporting patients with joint pain. The step-by-step approach outlines the best way for pharmacy teams to support patients with mechanical joint pain and could be used to inform SOPs, ensuring members of the team work safely within their competence while also sharing best practice. It also maps the scope of practice for each team member, helping the responsible pharmacist identify knowledge limits, which is especially useful when supervising the sale of medicines on the premises. There are around 11,700 pharmacies in England and 89% of the English population live within 20 minutes’ walk of their nearest pharmacy, meaning that pharmacy teams are easily accessible for patients. Fellow healthcare professionals who attended the round-table meeting: GPs, physiotherapists and dieticians, recognise the role that pharmacy can have in improving health outcomes for those experiencing joint pain. The onus is on pharmacy to accept responsibility for effectively managing patients’ joint pain by providing initial support and advice, screening for red flags which warrant referral and providing a patient-centred approach to care that better serves the needs of the patient, without unwarranted referral and signposting causing inherent delays and anxiety. It is imperative that we seize the opportunity to serve patients as best we can; however, this will only happen with the active engagement of pharmacy owners, management and the pharmacist. We must all do our part now so that our patients can benefit fully from what the entire pharmacy team can offer them. GSK provided financial support in the production of this content. The author was not paid by The Pharmaceutical Journal to write this article and full editorial control was maintained by the journal at all times. 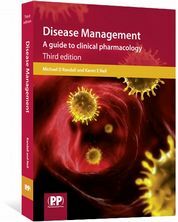 Disease Management covers the diseases commonly encountered in primary care by system, with common therapeutic issues. 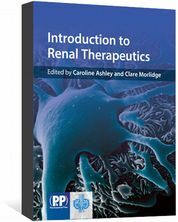 Includes case studies and self-assessment sections. 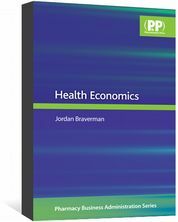 Health Economics is a practical analysis of the prominent economic issues facing the American health care system, and what mechanisms exist to counter it. 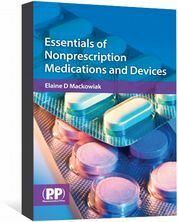 Essentials of Nonprescription Medications and Devices provides a quick, comprehensive reference of products available for self-care.